Give us a call. Shoot us an email. Or, use the chat at the bottom of the screen. Sign up for free video tutorials and screencasts. 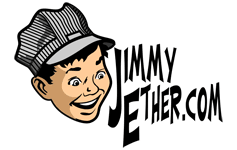 ©2017 Jimmy Ether Media Inc.